Buying for people with restrictive diets can be a struggle if you are not knowledgeable about Free From products. I have put together some ideas which I would be happy to receive so I hope that is useful for others. Food Subscription Box – depending on your budget you could buy a 12 month subscription box or a one off. 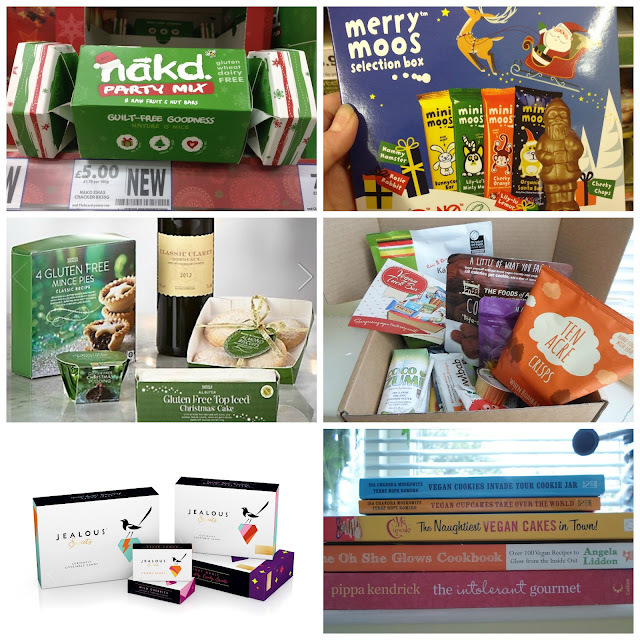 This year I tried services from Saviour Snacks and Vegan Tuck Box both offer Vegan, Vegetarian and Gluten free options. Pippa Kendrick released a 2nd book this year titled Free-From Food for Family and Friends. All of the above books can be found on Amazon.